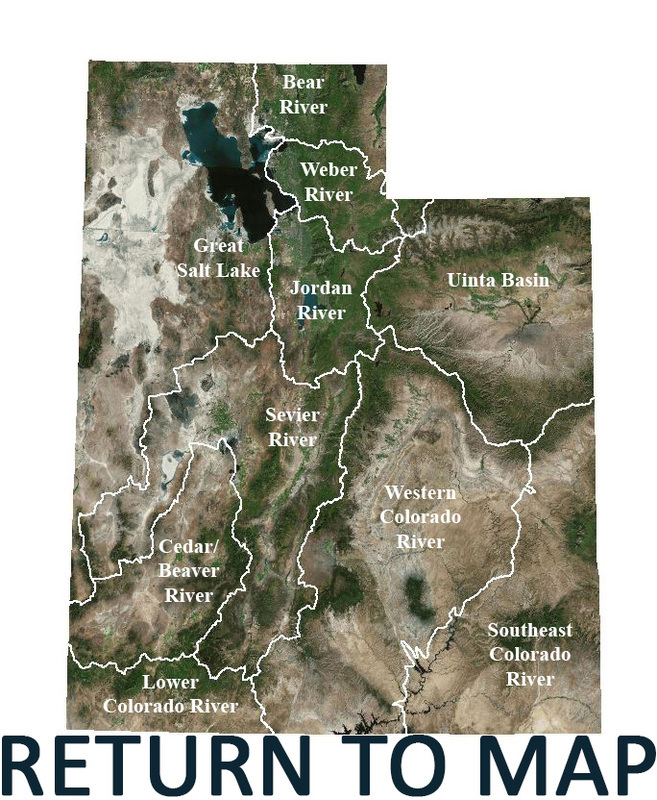 The Lower Colorado River Watershed is located in the southwest of the United States, covering parts of Utah, Arizona, New Mexico, Nevada, and California. The portion in southern Utah is comprised of four sub-basins: the Upper Virgin River, the Lower Virgin River, the Fort Pierce Wash, and the Kanab. The area spans over 3,400 square miles and elevation ranges from 2,100 feet to 10,500 feet. Precipitation per year ranges from 6-8 inches in the valleys to 35 inches in the mountains. Flash floods can occur often here due to many sandstone formations. The major river is the Virgin River with several tributaries including the Santa Clara River, LaVerkin Creek, Ash Creek, and North Creek. Other water bodies include Sand Hollow Reservoir, Quail Creek Reservoir, Kolob Reservoir, and Kanab Creek. 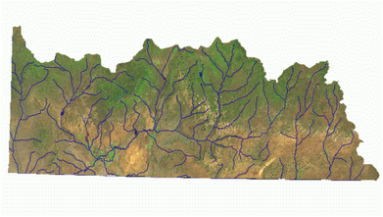 Major water uses include drinking water, wildlife, recreation, agriculture, and irrigation. Natural conditions of erosion contributes high dissolved solids, selenium, and salinity levels, while hot springs increase water temperature.